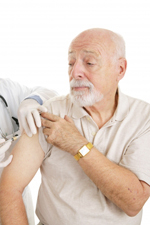 Through out your life you will may require different vaccinations to protect you against illness. These may change depending on your current situation, health or age. Keep reading for information on Childhood immunisation schedule, influenza vaccination and vaccinations during pregnancy. those with a BMI greater than 40. Whooping Cough Vaccinations will be offered to Pregnant Patients who are 28 - 38 weeks pregnant. 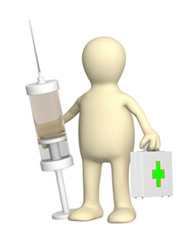 You will receive your Flu Vaccinations Letter via the post to ask you to come to the Surgery. Those Pregnant patients who are within 28-38 weeks of their pregnancy, please ask the Nurse who is giving you the Flu Vaccination, for the Whooping Cough Vaccination on the day. In the UK, all pregnant women are now to be offered vaccination against whooping cough when they are 28-38 weeks pregnant. Getting vaccinated while you’re pregnant could help to protect your baby from developing whooping cough in its first few weeks of life. Children are vaccinated against whooping cough at two, three and four months of age, and again before starting school at about three years and four months of age. Read more about preventing whooping cough here. Although the number of cases of whooping cough has fallen dramatically since vaccination began, it is still possible for children to get the infection, so having the vaccination is vital. The more people vaccinated against whooping cough the less chance there is of them passing on the infection to a young baby in which it could cause serious, and possible fatal, complications. The effectiveness of the whooping cough vaccination may fade over time meaning it is possible to develop the condition during adulthood if you were previously vaccinated.